Whether it’s a birthday party, picnic, Barbie (BBQ called by Australians), or any other family and friends gathering, you will find the cob loaf dip (a loaf of bread filled with a cheesy dip) on any of these occasions in Australia. Australians are known for being relaxed, friendly, and easy going. Having said that, you will see this in their food dishes. However, there are many other ingredients which can be used for the filling. You can add seafood, garlic, a stew, all kinds of cheese such as mozzarella, cheddar cheese, Gouda cheese, and many more. Do you have other ideas for the filling too? First of all, you can eat with your hands. Grab a piece of the bread and dip it in the sauce. When the pieces of bread are finished on the plate you can tear a piece of the cob loaf and dip it in the sauce. So you finish the whole bread. There is no need to worry when you crumble the cob loaf. It’s finger licking good! Australians also use crackers to dip the sauce with. Be aware, once you have tasted it, you cannot stop eating it. The cob loaf dip is served hot, and tastes better when you dip the bread while it’s still warm. The cob loaf dip is usually served at a Barbie (BBQ) or a party. Beer and wine are common drinks which are served during these occasions. 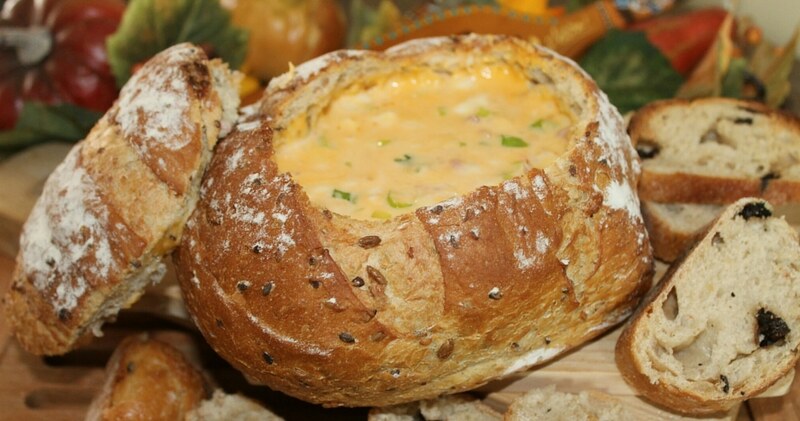 The history of the cob loaf dip is a mystery. Though it is served on many occasions in Australia, it is hard to find information about where it originally comes from. Do you know? Learn how to eat even more of the best food from around the world right here. One Response to "How to Eat: Cob Loaf Dip"